This one hundred % organic cotton overall with feet is super-soft and gives a perfectly snug fit every single time. In sizes newborn/preemie (up to 7 pounds), -three months and 3D, the garment has a fold-more than, gloved-sleeve selection for added warmth and protection from self-scratching. Sizes six-9 months and 9-12 months do not have fold-over alternatives on the sleeves, considering that older babies require to have free hands to create and explore. A best seller, this overall characteristics rubber-dot soles below-foot for added security to prevent slipping. Pair with an organic L\'ovedbaby hat and swaddling blanket for the best take me residence and keep me cozy outfit. Offered in a wide assortment of coordinating solids, stripes and restricted-edition prints, in five hassle-free sizes. 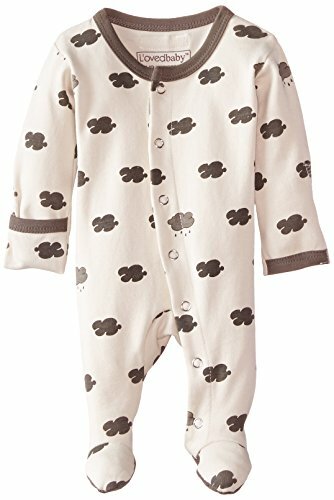 All of L\'ovedbaby\'s organic cotton garments are GOTS-certified (Worldwide Organic Textile Common, the world\'s top processing regular for textiles produced from organic fibers).